The Preston Grammar School building stands in College Square at the east end of Stokesley and according to its foundation stone was erected in 1832. 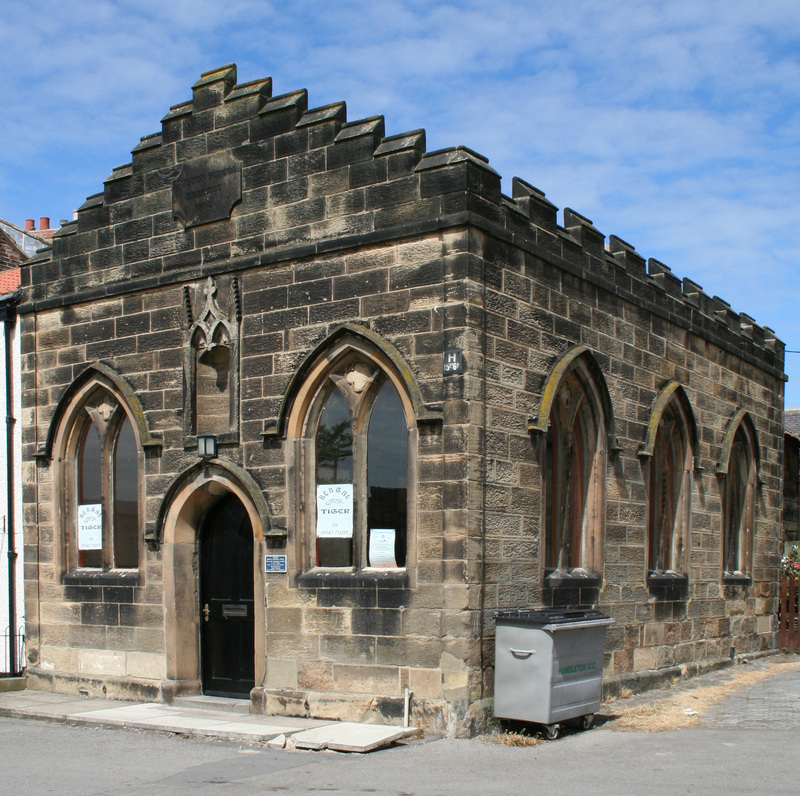 The founder was a local attorney, John Preston, whose will specified (amongst other bequests) that the sum of £2000 be left in trust to Christopher Dobson, John Gillson and Richard Rooke, on trust to be invested in "Government or other real securities at interest" and then called in and used in part as necessary for the "rebuilding or enlarging the old schoolhouse formerly erected in the town of Stokesley by subscription". Failing that the Trustees were to "apply so much of the said sum of £2000 as may be found necessary in purchasing such a lot or piece of ground as may be thought convenient for building a new schoolhouse within the said township". The money that was not used in the building was to be invested and the interest used as "a stipend or salary to such schoolmaster from time to time to be elected". Preston further stipulated his desire that the schoolmaster "may always be a person duly qualified for teaching the Classicks, English, writing and Arithmetick"
The school was to provide free education for twelve or more poor children of the township of Stokesley…whose parents may be thought so poor as not to be well able to pay for their learning" Preston went on to say that the "committee" (see below) of the school might increase or decrease this number as they "think proper". Any candidate for the position of Master of the School had to be examined by the Rector of Stokesley or his representative, and successful candidates would then be given a certificate to show that he was a person in every respect duly qualified to be appointed master of the said school"
The initial Trustees of the school were to be the three persons named above together with the Churchwardens and the Overseers of the Poor of Stokesley. On the death of the three named men or any one of them, the Trustees could nominate and appoint Three or more substantial householders within the said township to act along with them as trustees. The Trustees were to form a committee which would have full power to make rules, orders and regulations for the proper management of the school in order to benefit it. The Committee was also given the right to dismiss and replace any master found guilty of misconduct or irregularity in his behaviour" and to replace masters who had died. The founder, John Preston, was born in 1725. He was the son of John Preston senior, also an attorney, and his wife Jane (nee Johnson). 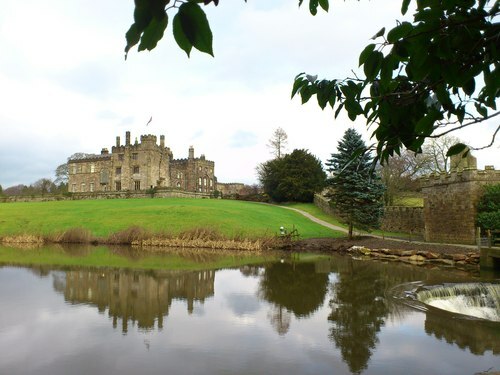 Through Jane the Prestons were connected with the Ingilby (or Ingleby) family of Ripley Castle (pictured below right), when Mary Pritchard (nee Johnson) married Sir John Ingilby. John Preston junior had two sisters, Jane and Mary, perhaps named one for her mother and one for the wife of Sir John Ingilby, and we have no evidence of tensions between the families. It was however the Ingilby family that eventually challenged the will in the Court of Chancery. “The first and second cousins of John Preston, late of Stokesley in the North Riding of the County of York, Gentleman, deceased, and as such claiming to be intitled to a Share of the residue of his Effects are desired to send forthwith to William Powell, Solicitor, Stokesley an account specifying their Names, Places of Abode, and other requisite Particulars, the Executors intending to make distribution of such residues immediately. The planned 'distribution' never took place, however, as the will was referred to the Court of Chancery, which dealt with inheritance cases. This Court was renowned for its slowness in dealing with claims (as parodied in Dickens' Bleak House) and the case of John Preston’s will was no exception. It should be noted that the Court of Chancery was an unusual institution in that it sought to reach a fair conclusion to cases placed in its jurisdiction rather than to follow the letter of the law. For this reason alone proceedings were frequently protracted as consideration was given not just to the intent of a testator, but to the fairness of that intent. Due to the contestation of the will none of the estate including any bequests could be distributed. Therefore until the challenge had been settled in Chancery the school could not be set up. 1. When the case came to Chancery, the surviving son of Sir John Ingilby and Lady Mary, (another John), had died leaving no legitimate heir of his own. However, he had left a will dividing the Ingilby estate between his 2 illegitimate sons, John Wright (who took the baronetcy) and Rev Henry Wright. They both then took the name Ingilby and are 2 of the named legatees in the will of John Preston junior. Sir John (Wright) Ingilby died himself in 1815 so it was his son William who was named as one of the plaintiffs contesting John Preston junior’s will in Chancery. 2. John Preston senior’s older sisters must have died by 1807 when their brother's will was proved and so may not have received any of the legacy due to them, and we do not know whether John’s wife Jane had remarried or if she contested the will (which would have meant that her share would have been forfeit). If she had never received her 'moiety' from her husband then any goods/effects she may have left in a will of her own would have been substantially reduced. Her potential legatees might well have felt aggrieved when John Preston senior’s will was revealed in 1807, believing that they should have had a larger legacy from Jane.